Whether you are a professional athlete or someone who enjoys sports recreationally, clear vision is a must. But if you were not born with great vision, wearing glasses and contact lenses can be uncomfortable, unreliable and inconvenient for your game. Glasses can fog up, break or fall off your face as you sweat. Contacts can dry out your eyes, shift around or even fall out of your eyes during a critical play. Thanks to laser vision correction procedures like LASIK and photorefractive keratectomy (PRK) with the team at Laser Eye Center of Miami, you can enjoy great vision on and off the field. 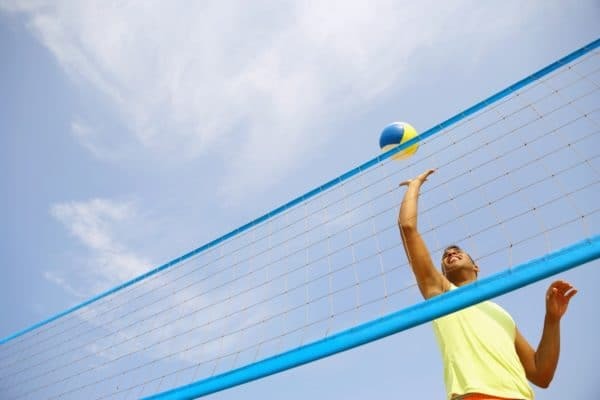 One of the most obvious benefits of laser eye surgery is improved athletic ability. LASIK and PRK can give you the clearest and sharpest vision you have ever had, allowing you to hit or throw a ball farther than you thought possible. Sports and exercise also become more comfortable and convenient without the interference of visual aids. You can move around freely without worrying about your glasses falling off or losing a contact lens. You do not have to sit on the sidelines because you got dust or sand under a contact lens, or because you suffered an eye or facial surgery while wearing glasses. If you play a team sport, laser vision correction allows you to be an incredible team player. You will not have to let your team down or leave a game early to repair your glasses or find your backup contact lenses. It is a win-win for everyone! At Laser Eye Center of Miami, we offer several different types of laser eye surgery. LASIK involves creating and lifting back a flap of corneal tissue before performing the laser treatment. With advanced surface ablation (PRK), the surface layer of corneal cells is removed prior to the laser treatment; the cells regenerate by themselves in the days following surgery. If you play a contact or collision sport and have concerns about potentially dislodging or injuring the corneal flap, you may feel more comfortable with advanced surface ablation. But there is no one-size-fits-all solution for every athlete. Ultimately it is up to you and your laser eye surgeon to select the procedure that is right for you and your needs. To discuss the benefits of laser vision correction in more detail with our team, please schedule an appointment by calling or emailing us today.